Editor’s note: this blog post was originally published in August 2016 and has been updated to include additional information. Marketers, get ready: mailboxes are about to get digital. 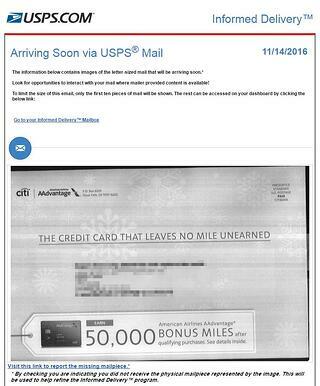 Slated for a nationwide roll-out by April 2017, the USPS is piloting a service called Informed Delivery that lets customers digitally preview their mail before it arrives. Subscribers of the service will receive an email every morning that captures the front side of letter-size mail, giving visibility who the sender is and to whom the letter is addressed.  The email will appear in the form of a black-and-white newsletter and contain up to 10 digital snapshots (see: sample image), which can be viewed on the desktop online dashboard or through a mobile app. If over 10 mailpieces are received, a link will be provided to view the remainder through the dashboard. Magazines, catalogues, and other flat-sized pieces may be supported in the future. The service is currently running betas in Virginia, Maryland, D.C., New York, and Connecticut. Results from a market test in New York City show 70% of subscribers opening daily notifications and more than 90% reading notifications more than four times a week. The USPS has also shared plans to unite physical and digital advertising: by giving companies the ability to provide hyperlinks to ads and promotions in the newsletter, driving more attention to advertising promotions. “If a direct mailer wants to give us an HTML, then we can actually make that piece click through to their website, so it can create a buy-it-now experience,” said Gary Reblin, Vice President of Innovation and New Products. 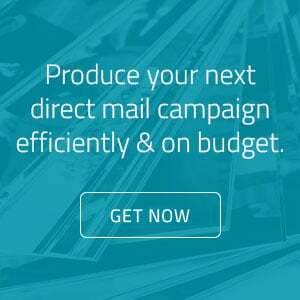 “So not only would the end mailer get more impressions, but they also create the easy capability to be able to click through and purchase.” In other words, more eyes on mailings. This service is poised to elevate the role of direct mail in the everyday consumer experience, engaging them in the environment of their choosing. In an age where consumers want to take data into their own hands - tracking everything from fitness to package deliveries - Informed Delivery responds directly to this. Marketers will need to match the enthusiasm for tracking data in order to reach the right people with the right message at the right time. “If you can do a QR code interaction on a mail piece, you can do this,” said Postal Service CMO Joe Cochrane. “But what we can do is measure when recipients engage with Informed Delivery and then when they go to your site or convert. This is going to do a lot for the attribution issue.” Analytics that point to when and which mailpieces consumers view and what actions they take will certainly give rise to personalized brand experiences. The service is free for now, with no plans to later monetize it. Visit the USPS' Informed Delivery website to learn more.